I love a Kander and Ebb musical. Great songs that are endlessly singable (and danceable), a fun and entertaining show, and social commentary on some issue that always seems relevant, no matter how long ago the show was written. In this case, Chicago, now on tour at the Ordway in St. Paul, first appeared on Broadway in 1975, but its commentary on our celebrity and violence obsessed culture has only become more true in the 35 years since it opened. Maybe that's why the 1996 revival is more successful than the original; it's still running on Broadway and is one of the longest running shows in history. I've seen the show four times now, and it's always great. While there's nothing new or different about this touring production (it's the same Broadway revival production that's been touring for years), the cast is fantastic and the show is, as always, spectacular. Chicago takes place in the 1920s and features two women who are in prison awaiting trial for murder. They are, of course, celebrities, and they use that celebrity to their advantage in the courtroom. America loves a true crime story and a public trial, something that was equally true in the '20s when newspapers were the form of media, and today with the prevalence of "Court TV." Roxie and Velma compete for the spotlight and for the attention of their lawyer Billy Flynn, who will defend anyone for 5000 dollars. In the end they realize that joining forces will get them further than competing with each other, as they take their act to Vaudeville. I'm not a fan of stunt casting (i.e., casting a big name TV star to sell more tickets, something that long-running shows like Chicago fall victim to), so I was a little leery of "starring John O'Hurley as Billy Flynn." (You know John O'Hurley - J. Peterman from Seinfeld.) But he quickly won me over. We know from Seinfeld he's a great comedic actor, but he's also a "self-taught pianist and classically trained vocalist." Combine those two parts and he's an excellent Billy Flynn, the loveable razzle-dazzler. But of course, the women are the star of this show. Terra C. MacLeod is the perfect Velma, the more experienced and jaded murderess, and Tracy Shayne is also great as the ingenue murderess Roxie, who soon learns how to work the system. Both women have played their roles on Broadway, and their experience and comfort with their characters shows. Ron Orbach also has a long history playing Roxie's nebbish husband Amos, and is delightful especially in his big number "Mr. Cellophane." I saw an understudy for Mama Morton, Kecia Lewis-Evans, and she's great with an amazing range. R. Lowe also deserves a mention as the reporter who isn't quite what she seems - an incredibly voice played for laughs, even moreso when her true nature is revealed (and no it's not Rob Lowe). All of the women and men in the ensemble are fantastic, and beautifully and crisply perform the Fosse-inspired choreography. 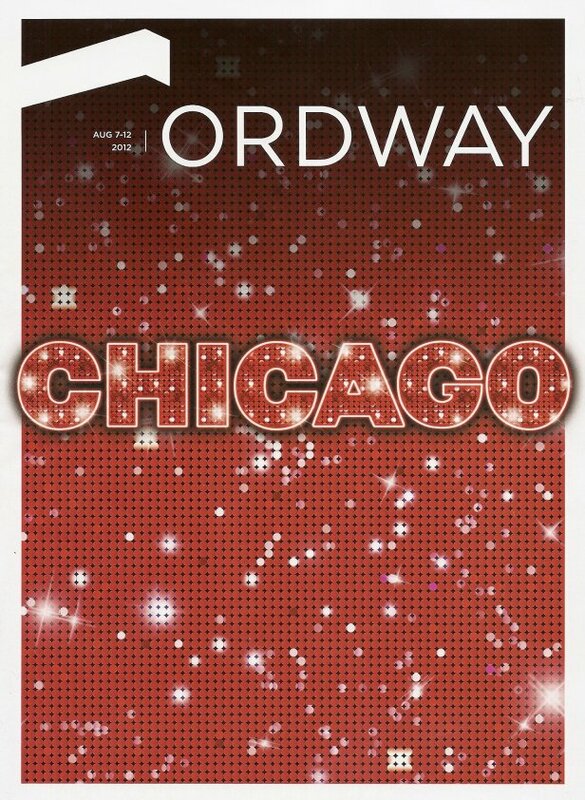 If you've never seen Chicago, this is your chance to see a musical theater classic that's deservedly one of the most popular shows on Broadway. If you have seen it before, this is a great production of a show that's worth seeing again if you've got the time and money. (Helping you out on the latter point is Goldstar - half-price tickets still available!) Chicago, in typical Kander and Ebb style, will entertain you with music, dance, and characters, so that you might not even realize they're making an interesting and relevant point about the society we still live in (see also Cabaret and The Scottsboro Boys).